I’m obsess with pencil skirts and this one is to die for. You are rocking the sh*t out of this outfit. LOve it!!! Too much nice look with Dashing dress………….. Stunning! Love dressing up a sweatshirt with a pencil skirt :). And the sweatshirt is so much fun with its embellishments! Lovely mix and that top is so much fun! KT!!! I love this look! Very chic, very glam grunge! 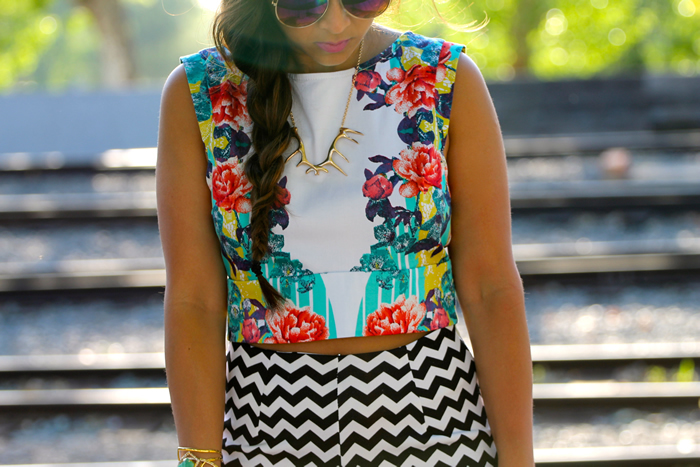 Sweet and simple outfit! You’re like a princess on the go with that crowned-designed tops. The skirt is very nice. I actually want have one for myself! Thanks for posting this amazing combination for us to see!